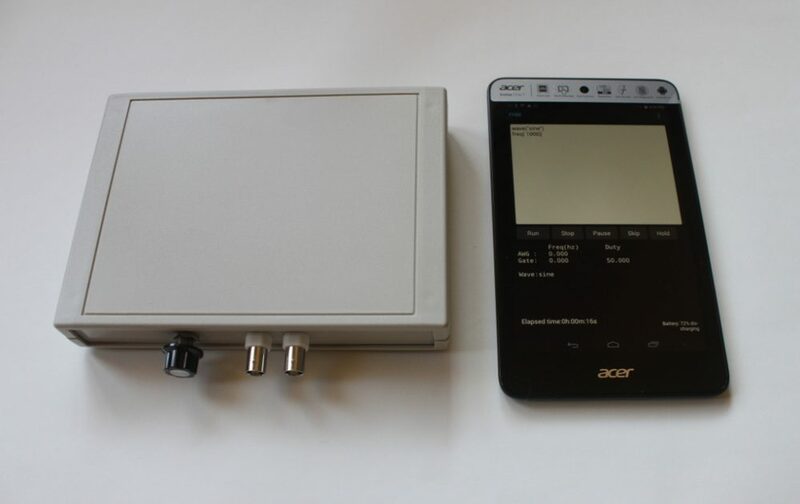 2.5 Mhz square wave programmable frequency generator. 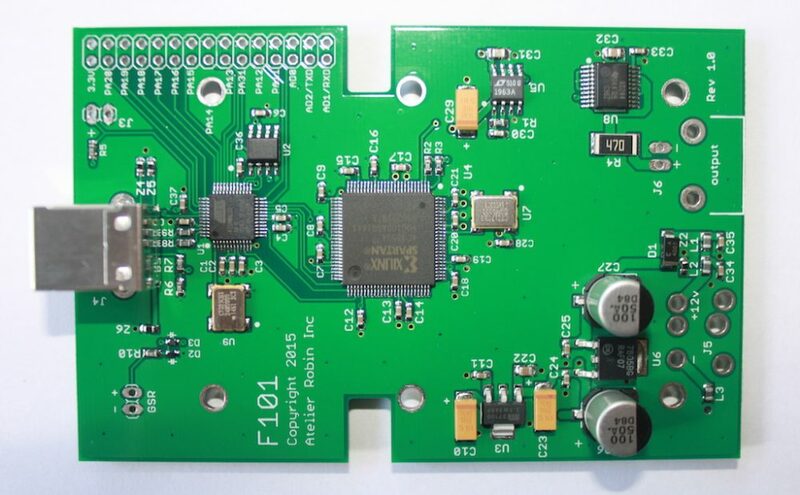 The F101 square wave frequency generator is a USB connected, dual channel , 2.5 MHZ square wave generator. It can be driven from a PC or Mac computer. It can also run one program file in standalone mode, not connected to a computer. 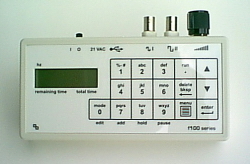 The F101 needs to be connected to a computer via a USB port to be programmed using the F100 5.x software. Program files written for our F125/165/170 are compatible with the new F101. The F101 has a single 5V TTL BNC output. Each generator comes with a USB cable and a 12VDC wall transformer. 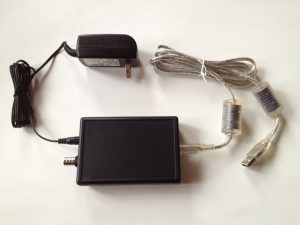 MS-Windows, Mac F100 5.x software to control the F101 from a computer USB port. 1 BNC output 5 V TTL. Channels A,B can be routed to the output in any combination. Any of the 2 internal channels can be used as a carrier for the other channel. Channels A,B duty cycle programmable in 64 (1.5625 %) steps. Can be programmed to automatically load and run a program at powerup in standalone mode without the need for a PC.